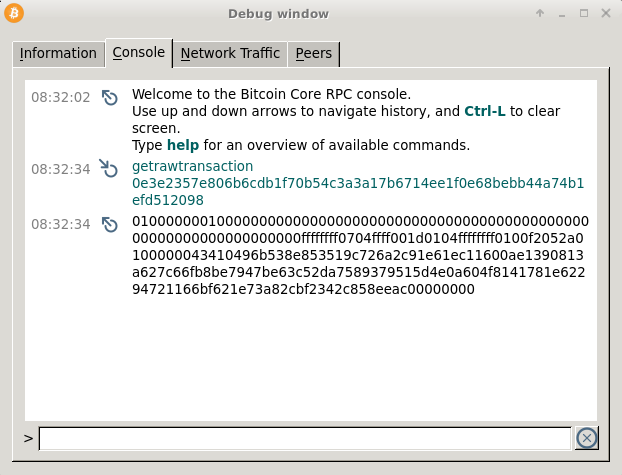 TXID The hash of a transaction's data. A TXID (Transaction ID) is basically an identification number for a bitcoin transaction. f4184fc596403b9d638783cf57adfe4c75c605f6356fbc91338530e9831e9e16 - First ever Bitcoin transaction to Hal Finney in 2010.
a1075db55d416d3ca199f55b6084e2115b9345e16c5cf302fc80e9d5fbf5d48d - Pizza transaction for 10,000 BTC in 2010. 4ce18f49ba153a51bcda9bb80d7f978e3de6e81b5fc326f00465464530c052f4 - The transaction containing the first donation I received for making this website. A TXID is always 32 bytes (64 characters) and hexadecimal. You get a TXID by hashing transaction data through SHA256 twice. Searching for TXIDs in the blockchain. If you've just hashed some transaction data and want to search for a TXID in the blockchain, you have to search for it in reverse byte order. In other words, this was a slight oversight in the early development of Bitcoin that has now become a standard. If you have been given a TXID by your bitcoin wallet, it's probably already in its "searchable" format (reverse byte order). You use a TXID when you want to use an existing output as an input in a new transaction. To refer to an existing output, you use the txid it was created in, along with the vout number for that transaction. Because after all, a TXID is a unique identifier1 for a transaction. Why hash twice? Why not once? No real reason. Things often get hashed twice in bitcoin for super-extra security. Hash functions like SHA256 are great for creating identification numbers, because they will take in any string of data and always spit out a short yet unique result. Coinbase transactions having the same TXID. There has been a situation where two "different" coinbase transactions had the same TXID. Initially, BIP 30 introduced a rule that prevented blocks from containing a TXID that already exists. Later, BIP 34 required coinbase transactions to include the height of the block the were mining in to their transaction data, so that coinbase transactions could be different.